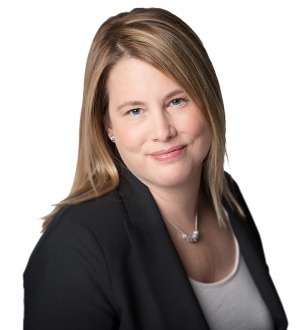 Heather has substantial experience representing clients in high-asset and complex divorce cases, including those cases involving the valuation and division of business interests and other complex assets. Her goal is to assure that disentanglement from a spouse or partner moves forward as efficiently and smoothly as possible, with each client’s unique circumstances in mind. Heather has been selected by her peers for inclusion in Best Lawyers in America since 2013. She was named Best Lawyers’ Concord Family Law “Lawyer of the Year” in both 2014 and 2016. In 2015 she received the Martindale-Hubbell® Client Distinction Award, based on reviews posted by clients. She is rated AV Preeminent by Martindale-Hubbell® – the highest rating available. In 2012, after a rigorous selection process, including evaluation based on peer recognition and professional achievement, Heather was admitted as a Fellow of the American Academy of Matrimonial Lawyers (AAML), an association of the nation’s leading practitioners in the field of family law. She is one of only three lawyers in New Hampshire to be so credentialed. She has also been included in Super Lawyers® since 2014, and was featured in New England Super Lawyers® in 2014. In 2013 Heather was profiled in New Hampshire Magazine, along with only four other attorneys in New Hampshire, as one of New Hampshire’s leading attorneys. She is a frequent presenter on family law topics, including prenuptial agreements, child support, and federal law issues that arise in family law matters. Heather is also a regular guest presenter at University of New Hampshire School of Law. Heather received her B.A. in English from the University of Vermont and her J.D., with distinction, from Emory University School of Law. She is admitted to practice in both New Hampshire and Massachusetts.